Foods and drinks high in sugars and acids. Sugars and acids are both tough on your teeth. While the occasional item probably won’t hurt, you’ll want to brush your teeth after every meal to remove those elements from your mouth and prevent them from eating away at your teeth. Poor dental hygiene. If you are skipping the brushing and the flossing, chances are you’ll have issues with tooth decay in the future. Brushing at least twice a day and flossing every day are great first steps to preventing damage to your teeth. Age and genetics. These two things you’ll have no control over, unlike the other two examples above. Your teeth will naturally start to decay as you grow older, and how quickly that happens depends a great deal on your genetics. Our Encino dentist recommends three things to prevent tooth decay: regular brushing, regular flossing, and regular visits to our office. We can help you put a stop to tooth decay or help you repair the damage that has already been done. 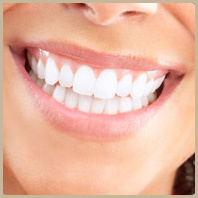 Make an appointment with our Encino dentist by contacting us through our website today!